We’d visited two cities on our Scotland trip so far, so we designated Thursday as the walking day. Husband had apparently found a lovely walk for us to do, but he decided not to tell us anything about it – I suspect he thought I’d complain about the distance. The problem with this being that Tim and I obviously wanted to know where we were going. It led to a very frustrating morning (to say the least!) where Husband had programmed some random destination into the Sat Nav but wasn’t telling us what was there. He was right that I’d complain about it. He wanted to walk 12 miles up a mountain! To this day, I don’t know what bloody mountain we walked up – I think it was Ben Shian? – all I know is that I was quite whiny, and the top of the mountain was closed for loggers. Tim sure is glad he went on holiday with a whiny woman and her weird husband. He’ll know better next time. 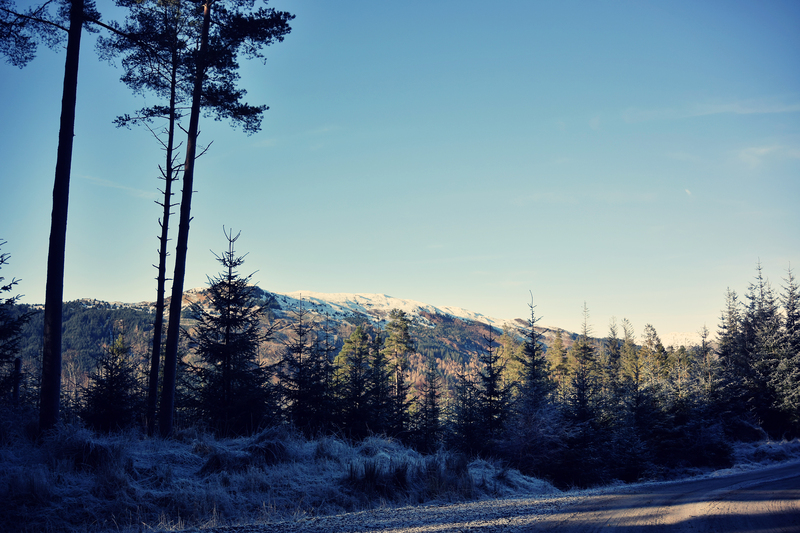 The walk back down the mountain was better, and through a very picturesque frosty forest. I was a bit sad that the snow was far away – it was beautifully crisp, but we didn’t get to see any snow up close. 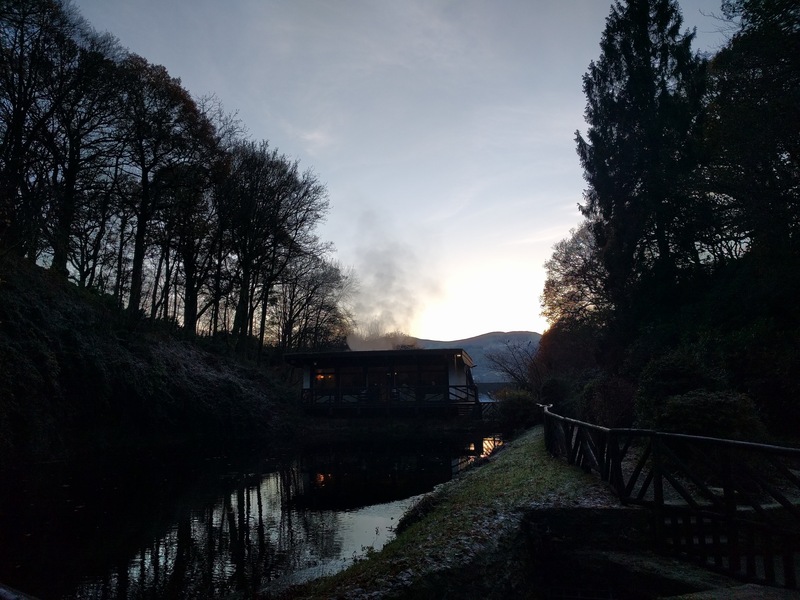 Considering we were in the Loch Lomand and Trossachs National Park, we thought it would be a good idea to see some water as well, so on the drive back, we stopped at Loch Lubnaig for a bit, although it had got colder by this point. On the drive to the walk, we’d driven through the town of Callander, which I fell in love with on sight. It looked like everything I’d want in a future retirement location, and when I got back to England, I did get a little obsessed with looking up houses in the area. I’d pretty much found jobs and accommodation for Husband and I less than a week after we’d got back. It’s definitely bookmarked for future reference. One final destination on the way back to the Pineapple was the Glengoyne Distillery. 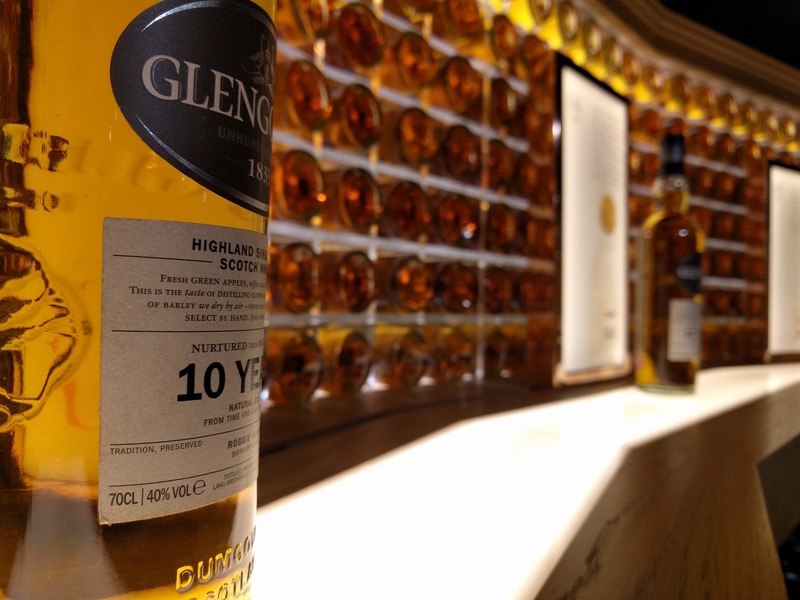 Can you call a trip to Scotland a ‘holiday’ without a visit to a Distillery? Glengoyne has been called Scotland’s “most beautiful distillery” and it certainly was in a very pretty area. It’s an incredibly professional looking outlet, and able to cater for huge coach parties which is very different to the other distilleries we’ve been to. As much as we wanted a tour, we’d got there just after one had started, and didn’t really want to wait around for 50 minutes for the next one to start, so we just visited the shop instead. Even though Husband is more of an Islay whisky man, he was still happy to try the Highlands malt, and has been happily making his way through a selection box since our visit. We had one last night in our amazing Landmark Trust property, before the ridiculously long (almost 9 hour) drive home on the Friday. I wish I lived closer to Scotland so I could visit more often. Who knows, maybe one day.